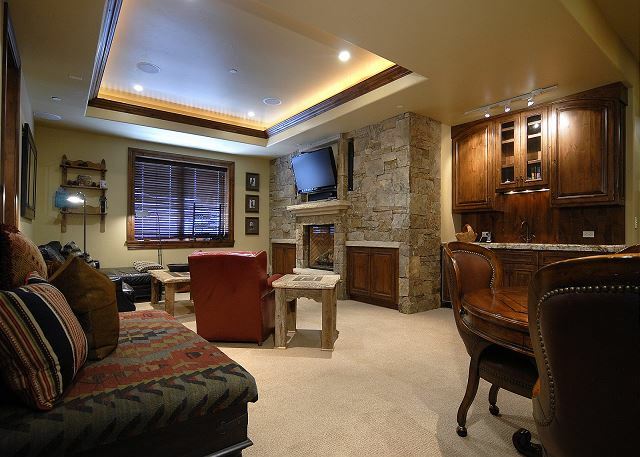 Located just outside the commercial core of Aspen in the spectacular residential neighborhood of Aspen Highlands is this stunning town home offering ample square footage for you and your guests with all the amenities and conveniences of being in the center of town just minutes away. Two car garage, vaulted ceilings and abundant natural light create open spaces and a warm welcoming atmosphere. From the entry, there is an elevator to service all three living levels of the home providing assistance with luggage to each floor and groceries to the kitchen. 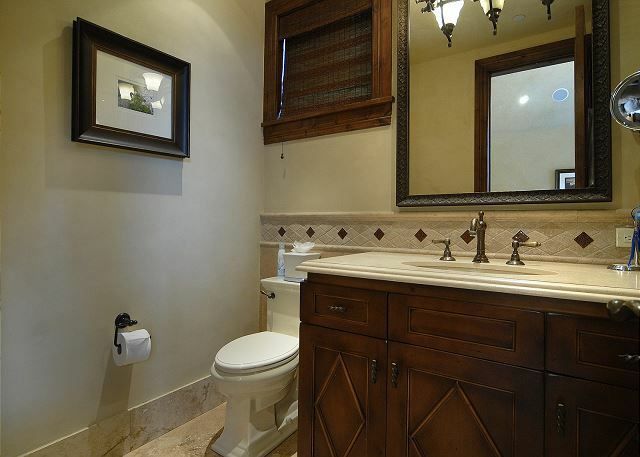 The home features two master suites, both with king bed and vaulted ceilings. The atrium living room features a stone gas fireplace, flat screen television, elegant seating, desk and wet bar. The patio through the glass doors offers a hot tub, barbecue and patio seating.. The formal dining table seats 10. 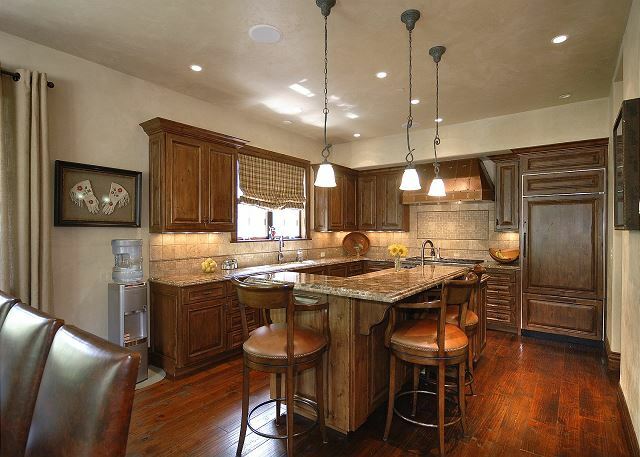 The gourmet granite kitchen provides generous counter space, Viking gas range with 6 burners and griddle, Nespresso machine, Sub Zero refrigerator and center island with additional sink and bar seating for 3. There is a dedicated pantry for the grocery stocking that is easily arranged for prior to arrival. On this living area level is a den with flat screen television, gas fireplace and sofa sleeper should a 5th bedroom be needed for the occasional house guest. Additional Features: A recreation room with sectional seating, flat screen television with extended cable television, gas fireplace, wet bar and game table; Roku Streaming Player which allows guests to access their Netflix and Amazon Prime accounts; a Sonos Sound System which allows guests to access their Spotify or Pandora accounts and play digital music in one app that you control from any device – play your selection in every room over a dedicated wireless network; a dedicated laundry room with stack washer and dryer; two-car garage and boot warmers for ski season; central air-conditioning and built-in humidification system throughout. Adjacent to the residence is the Ritz Carlton Club offering privileges to their heated pool, hot tub and workout facility. 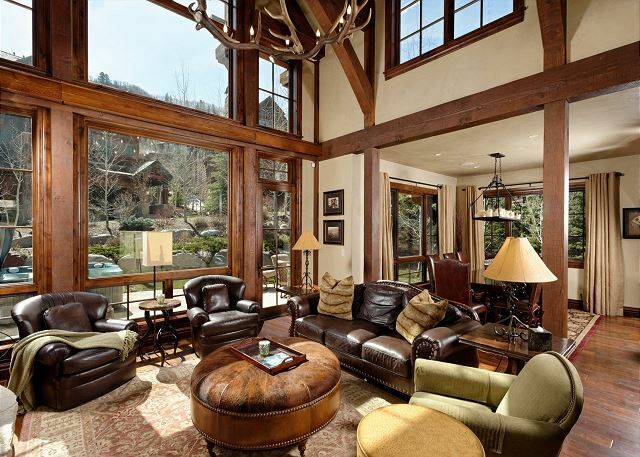 Complimentary on-call taxi service to and from Aspen and the Aspen Airport is available for house guests, and the free shuttle system runs continuously from this neighborhood to Aspen’s core making this location one of the area’s most convenient. 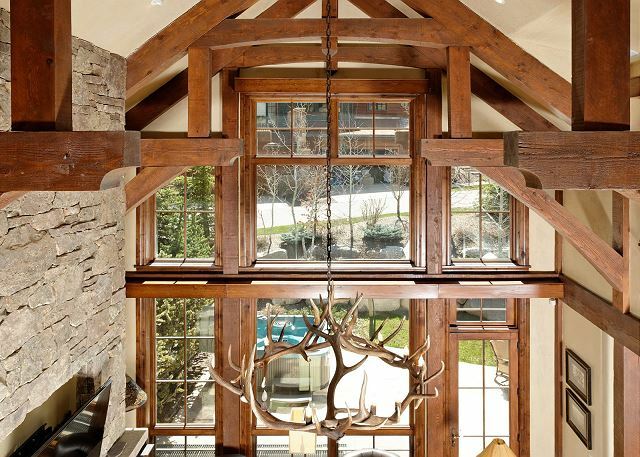 This is one of Aspen’s best rental residences, now available for your next Aspen vacation. All went well. House was great, well equipped and centrally located.